Why do Russians say ‘sorry’ in English and who is Soryan Soryanich? Today in a Russian crowd you are "highly likely" to hear "sorry" instead of Russian words. If a Russian – especially a young Russian – accidentally bumps into you on the street, they probably won’t apologize in Russian, but rather say “sorry” in English. What is this all about? It’s a rare occasion to hear typical Russian “Izvinite” or “Prostite” (two ways of saying “I am sorry”) on the streets of Russian cities nowadays. 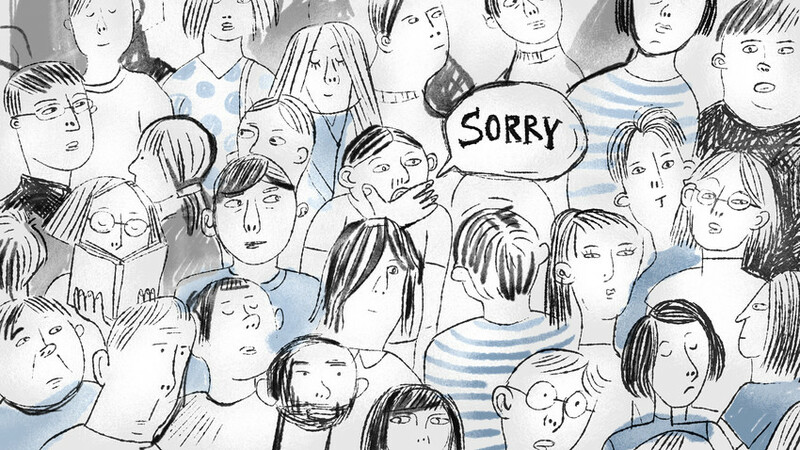 When the cashier makes a mistake, a kid hits you with a ball or someone pushes you gently on an escalator as you’re blocking the way – you’ll most like hear “Sorry” in plain, if perhaps accented, English. What’s more, they might say this even if they don’t know English. So what’s going on here? [in Russian]: Did you break my favorite cup?! [in Russian]: You spilled juice all over me! [in Russian] Where is the article on Russians who say “sorry”?! You broke all the deadlines! But Russian linguist Alexey Mikheev sees nothing unusual in any of this. “Common short words often move from English to Russian. ‘Sorry,’ just like similar borrowed words, is short and convenient. The Russian words ‘izvinite,’ ‘prostite’ have three to four syllables while ‘sorry’ is just two. It’s easier to say,” Mikheev explained to Russia Beyond. He also emphasized that using “sorry” is related to the spread of English, which more and more Russians know and “import” into Russian. But a simple “sorry” isn’t the only option, and there is a more exotic variation: “soryan.” You might hear this on the streets of some Russian cities, especially from younger people. It is also derived from “sorry” but includes an altered suffix that makes it sound like an Armenian surname. This version is even more informal, and many Russians can’t stand it. “Who the hell is this Armenian guy Soryan?” LiveJournal user tapkin asks ironically. “It just pisses me off–why can’t you say ‘izvini’? “Soryan” is regarded as one of the most irritating words in the Russian language, and when asked on TheQuestion.com (the Russian Quora) about what the most annoying words are, people often include “soryan” on the list. Some people even go beyond “soryan,” adding yet another suffix to make it sound like a Russian patronymic: “soryanich.” But don’t be afraid even of a linguistic monster such as Soryan Soryanich. After all, you don’t have to use it yourself. Unless you want it. [in Russian]: Did you forget to buy the tickets to Bolshoi for our anniversary? Some Russian language habits, both in oral and written communication, can be surprising for foreigners. Here is an article on why they use parentheses instead of smileys while texting inInternet.